Members of the Avoca Heritage Committee have been left fuming after work has been carried out at the old Avoca mines site at Whitebridge. 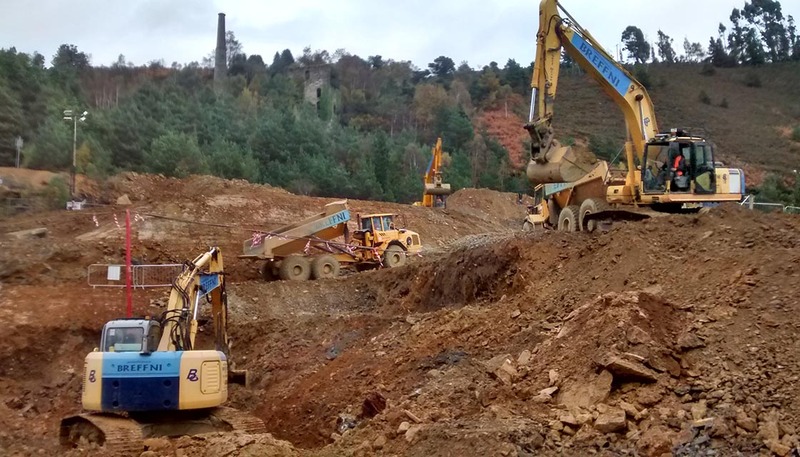 Photos show the destruction of the Avoca Mine Heritage site at Whitebridge which commenced on Monday 20 Oct 2014. Works were undertaken without the required planning permission for the area where the buildings and associated disturbed ground are listed in the register of protected structures in Wicklow County Council . A formal complaint was lodged by the Avoca Heritage Committee last Tuesday with Wicklow County Council . The committee told Wicklownews.net they did not come to investigate the situation until Thursday and have not yet taken a decision on what to do. 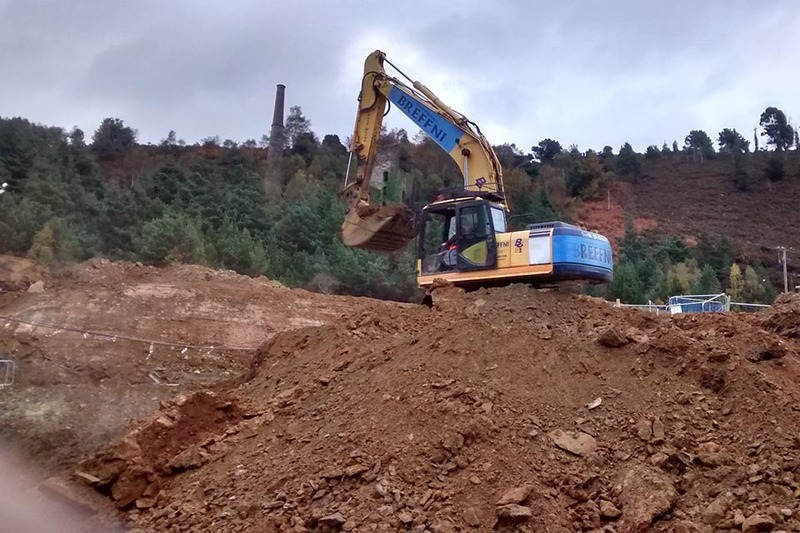 Three large steel tracked excavators and three dump trucks continue to destroy the heritage and archaeology of the site working 24/7 over this bankholiday. What is the point in our local council having a requirement for planning permission and a heritage policy if they allow this destruction to happen. the works were done without any evaluation of the heritage or archaeology. These reports would have enabled the works to be completed in sensitivity to the heritage. It is understood the works have been carried out by Irish Rail to under pin a fault on the Dublin to Rosslare line and permission for work had been granted.